We enjoyed a day of training in vocal and choral technique under the expert and entertaining direction of Joanna Tomlinson and Alexander Chaplin. Anyone who has worked with these highly experienced choral directors before knows we both worked hard and had fun. 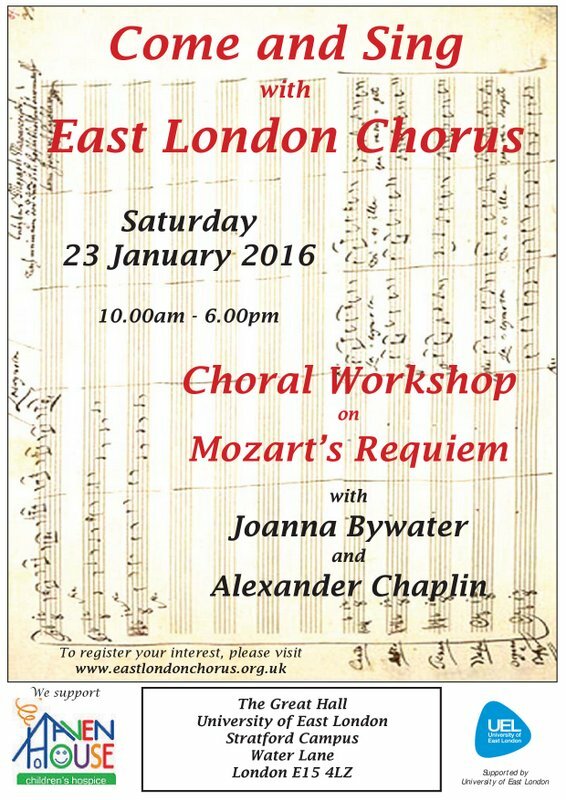 The workshop was based around preparing an informal performance of Mozart’s Requiem, one of the masterworks of the choral repertoire. Cost: £25 includes music hire.